Tahquitz River Estates known formerly as Palos Verde Estates, is a Palm Springs neighborhood with an eclectic mix. A mix of homes that range in size, and style. From impressive properties that feature over 3,000 square feet to cozy bungalows, Tahquitz River Estates has an eclectic variety of homes with style. 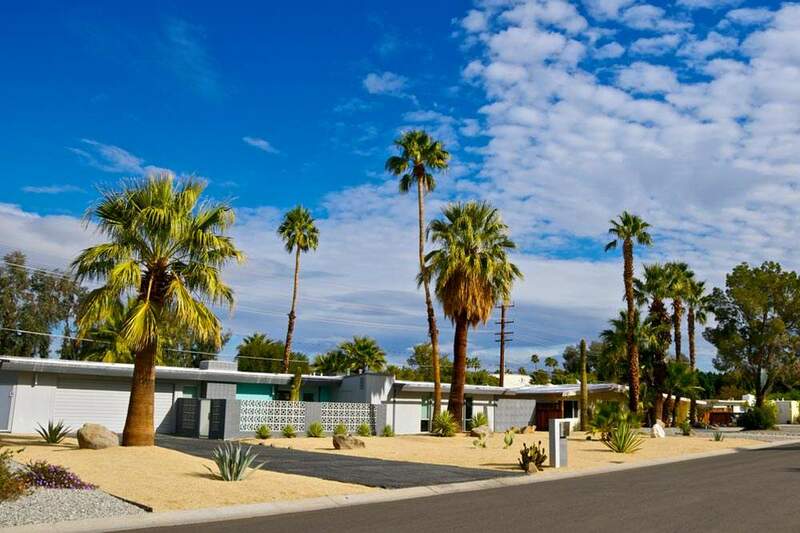 Whether you are looking for Old World Charm, or mid-century modernism, this Palm Springs Neighborhood offers distinctly different tastes. In fact, this area is known for the housing developments built by Paul Trousdale. And, for those who have not heard, the homes in this area were said to be the most ambitious housing development that had ever been attempted in the city of Palm Springs. Lining the neighborhood with mid-century modern style homes back in 1947, Architect Paul Trousdale is the reason Tahquitz River Estates even exists. Tahquitz River Estates all the romance of the desert oasis captured and preserved to enhance the pleasure of outdoor living. From the jewel tinted sunsets to the snow capped Mt. San Jacinto, Tahquitz River Estates offers you the sweet gifts of nature. An area that has an undeniable natural beauty that rises with the desert moon, it represents the past and the present. It is a place to run, bike, walk and watch wildlife with others in the community. The Tahquitz River Estates neighborhood is located in South Palm Springs. 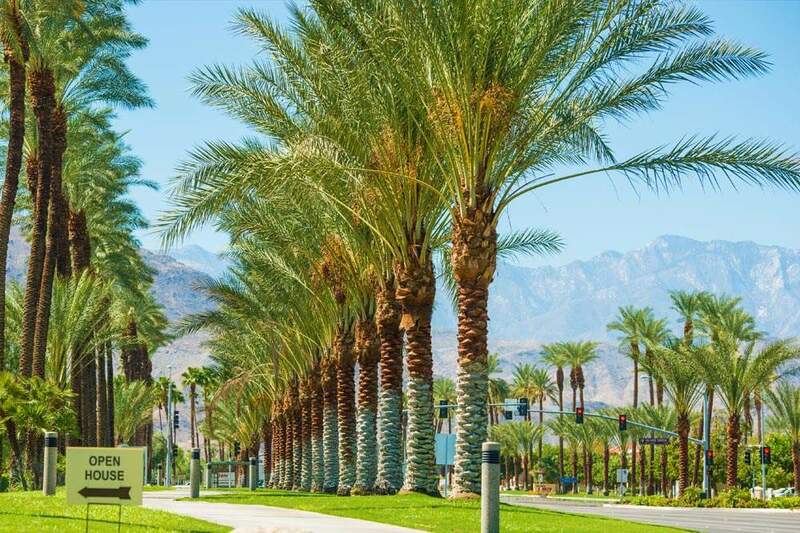 Bordered by the Deepwell and Warm Sands neighborhoods, Tahquitz River Estates is just minutes away from downtown Palm Springs. 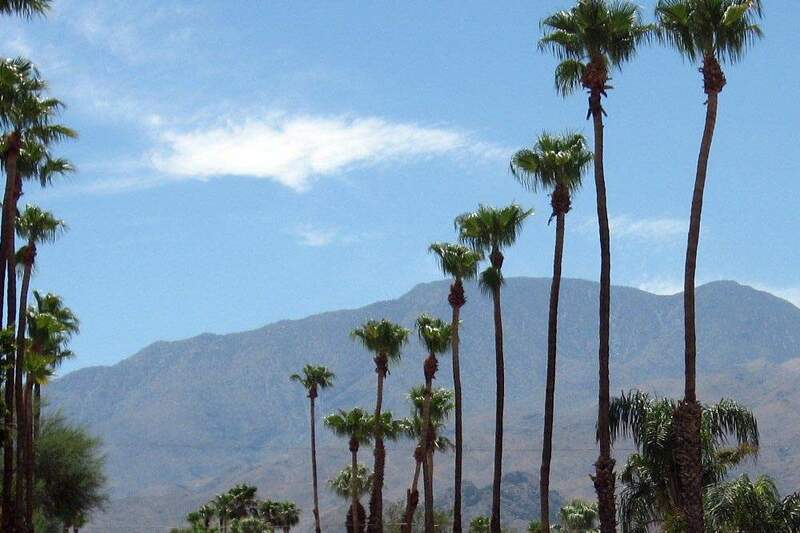 So, whether you like to shop or dine this area is close to many Palm Springs attractions. Imagine a montage of vivid purples captured by the sunset projected to your own backyard by Mt. San Jacinto. Now picture an area where you can walk, bike, run, or walk to anywhere and everywhere. Both cool and hot from the hip parts of the burgeoning South Palm Springs scene to the redevelopment of Downtown and the Design District. Taquitz River Estates is not only the most walkable neighborhood in Palm Springs, it is also the most accessible. It is a place to soak up the desert sun and bask in the midcentury ambience. And for the adventurous, the Tahquitz River wash which offers a path for hiking, jogging, or biking, is a great way to get your day started! Tahquitz River Estates Palm Springs, if you are looking to enjoy horseback riding, swimming, tennis, laying by the pool, golf, hiking, or biking this neighborhood is for you. For those looking to move to this area we offer you the most up-to-date listings available. Below you can browse all Real Estate listings to find homes for sale. To begin your search, simply hoover over map listings, or simply browse all homes for sale. And, when you are ready to see a home, call us (760) 250-1977. We look forward to helping you find the home of your dreams!